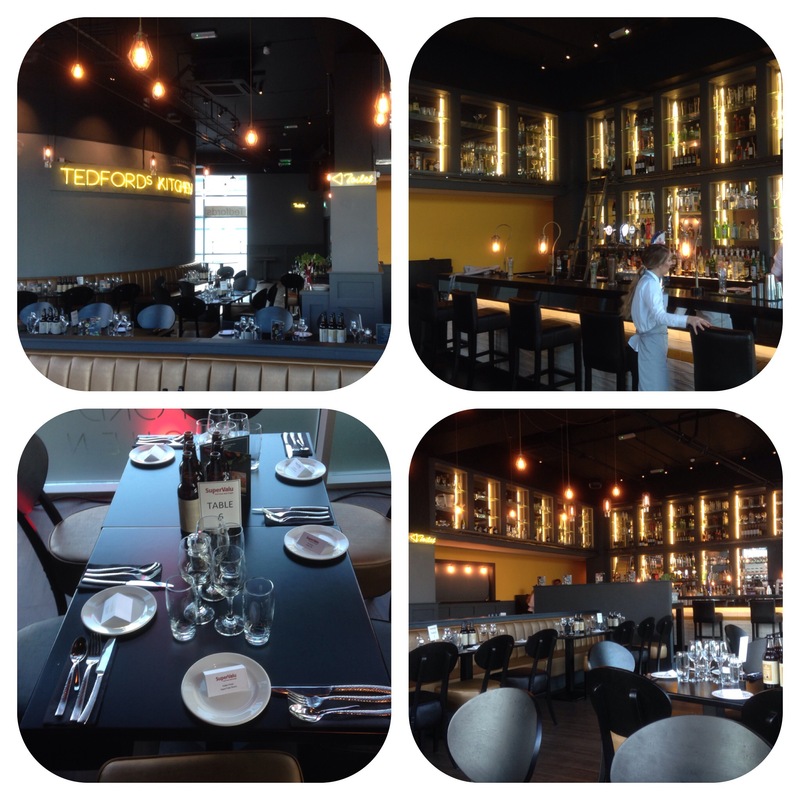 I attended this super event last night at Tedfords Kitchen. 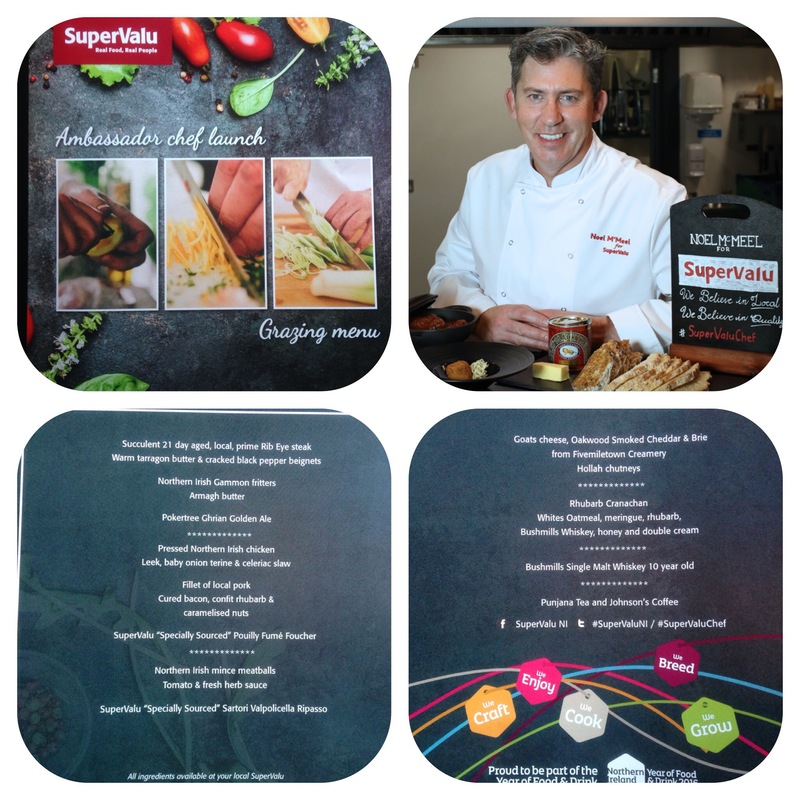 This was the unveiling of the partnership between Supervalu (Musgrave NI @musgravemktpl ) and chef Noel McMeel (Lough Erne Resort Head Chef @LoughErneResort ). I must admit I was looking forwards to visiting @TedfordsKitchen after the huge investment, but was slightly disappointed at the decour! This did not detract from an otherwise fantastic evening. @Supervalu has a presence of 35 stores in NI and this will increase. Noel cooked a tasting menu using locally sourced produce. These ingredients can all be bought from Supervalu stores. 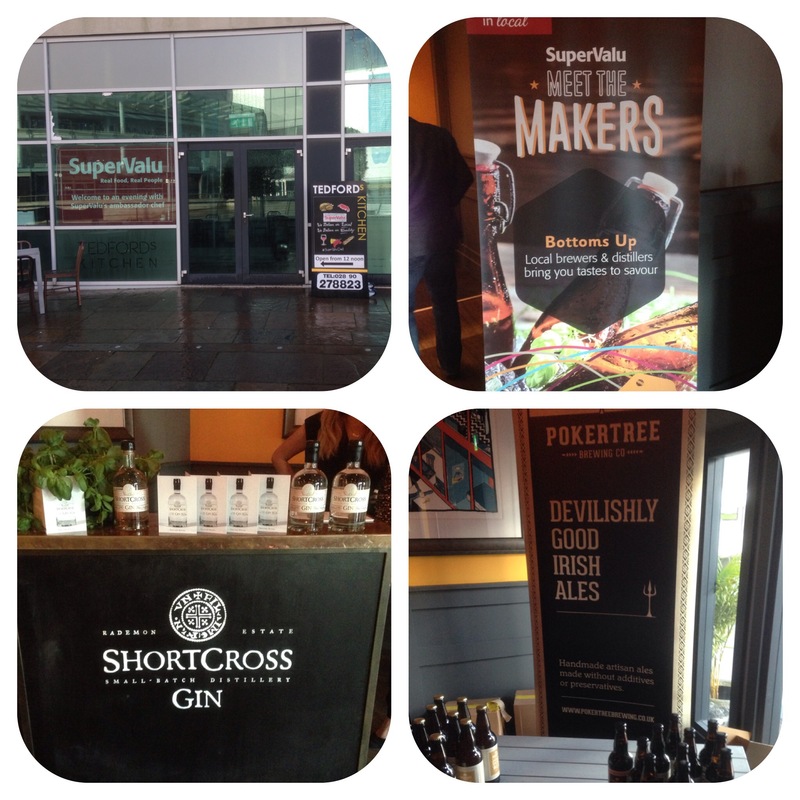 Before the meal and during there were drinks available from local producers @ShortcrossGin , @PokerTreeBrew (locally brewed ales) and @RubyBlueVodka . After the drinks reception we went into the dining room and were treated to a superb tasting menu. To start there was the steak (which I didn’t have but was told was amazing!!) beignets which were fully and devine, followed by gammon fritters and fresh butter again superb. Next was fillet of pork and chicken terrine which tasted exceptional. Minced beef meatballs in tomato followed (didn’t try) with bread. Red and white wine was also served. To finish there was cheese, biscuits, chutneys,grapes, tea or coffee and rhubarb cranachan. At the end of the evening we were given a goodie bag also. 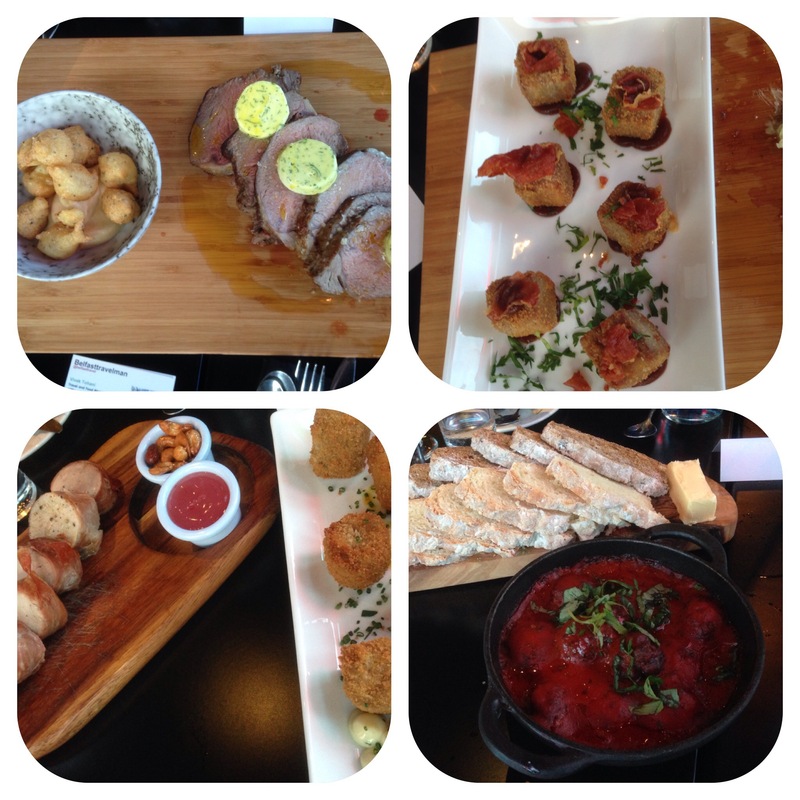 This was truly a fantastic way to dine and more restaurants should offer this. 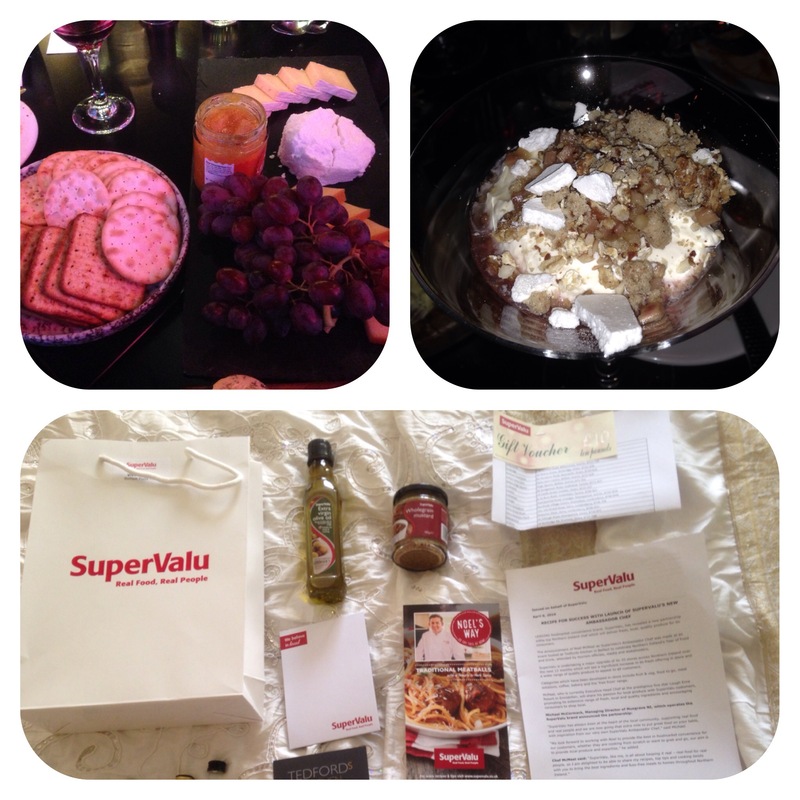 Thank you Supervalu and MCE for the invite.